Skunk2 Tuner Series Valve Springs - Dezod Motorsports Inc - Home of the automotive performance enthusiast since 2002. Skunk2 Racing valve springs have been developed as a result of our experiences in drag racing and touring car racing. Tuner Series springs are made from super clean chrome silicone wire milled in Japan. 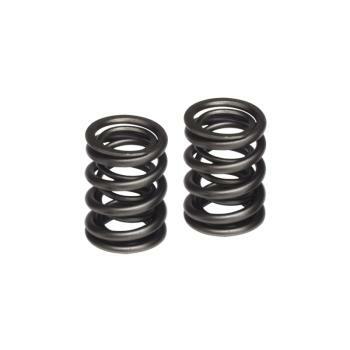 By using inner and outer valve springs with very different natural frequencies and also using a slight interference fit between the two springs, tuner series valve springs prevent valve float and maintain valvetrain stability at over 10,000 rpms. Tuner Series valve springs are designed for use with Skunk2 Ti Retainers on Street/Race vehicles running moderate to high lift cams.